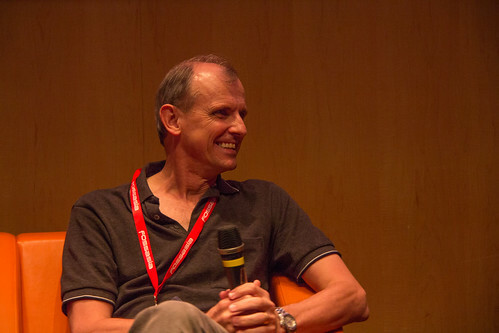 Below you can find links to some presentations Dr Graham Williams has given over the years. Topics covered range from artificial intelligence, introductory machine learning through to sophisticated data science using R.
I was interviewed when visiting Hong Kong in July 2017 about the emerging AI and Machine Learning trends, and the general area of Data Science. Here’s three snippets. A longer and produced video is available but requires registration. The interview is subtitled in Chinese. 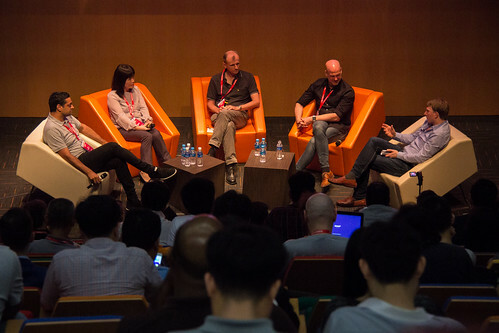 FOSSAsia held in March each year is one of those conferences full of energy, with open source developers sitting in the corridors updating and releasing new software “in the moment.” It was a great experience and nice to have had the opportunity to speak. PAKDD 2019 Tutorial (with Dr Zhang Le) on Recommendation Systems. AI Singapore Mentor Presentation on AI, ML, Processes and Model Sharing. 24 January 2019. AusDM 2018 Tutorial on Accessible Machine Learning. 28 November 2018. 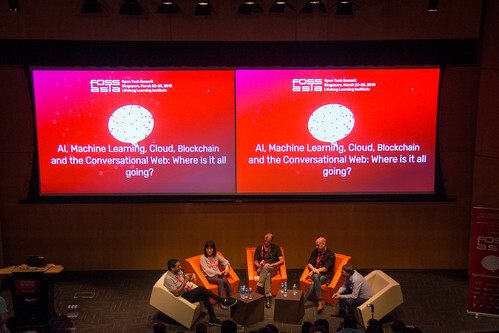 AI, Machine Learning, Cloud, and the Conversational Web: Where is it all going? 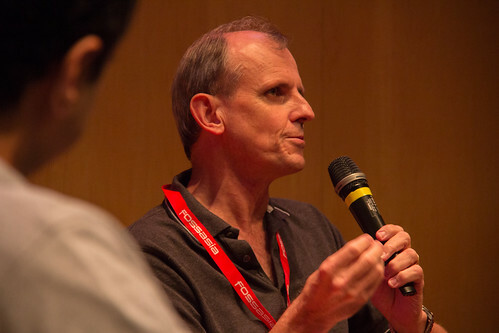 Melbourne Data Science Week Keynote, 2 June 2017, Melbourne, Australia. Melbourne Data Science Week, 1 June 2017, Melbourne, Australia. 20 May 2017, Seoul, Korea. Launch, 3 May 2017, Taipei, Taiwan. Reported on NTDTV Taiwan, ITHome, AppleDaily, 101, EZPR, HiNet, HiNet, HiNet, Meet Club, News Buffet, PCHome, CNA, plus some 40 more posts. Taiwan R User Group, 2 May 2017, Taipei, Taiwan. Malaysia R User Group, 28 March 2017, Kuala Lumpur, Malaysia. 11th Australasian Conference on Data Mining (AusDM-2013). Canberra, 13 November 2013. A 2 hour presentation on Data Mining, R, Rattle, RStudio, Data and Model Processes, and KnitR. University of Shenzehn Seminar – Rattle and Big Data Challenges. 14th International Conference on Intelligent Data Engineering and Automated Learning (IDEAL’2013) – Hefei, 23 October 2013. A panel on Big Data where Graham highlighted: (1) Need to scale down the data for building multiple predictive models over the big data, not the other way; (2) Right time real time analytics; (3) Extreme distribution of data to record level distribution, with data ownership handled by the individuals, not the mega-organisations. 14th International Conference on Intelligent Data Engineering and Automated Learning (IDEAL’2013) – Hefei, 20 October 2013. A 90 minute introduction to R, Rattle, RStudio, and KnitR.